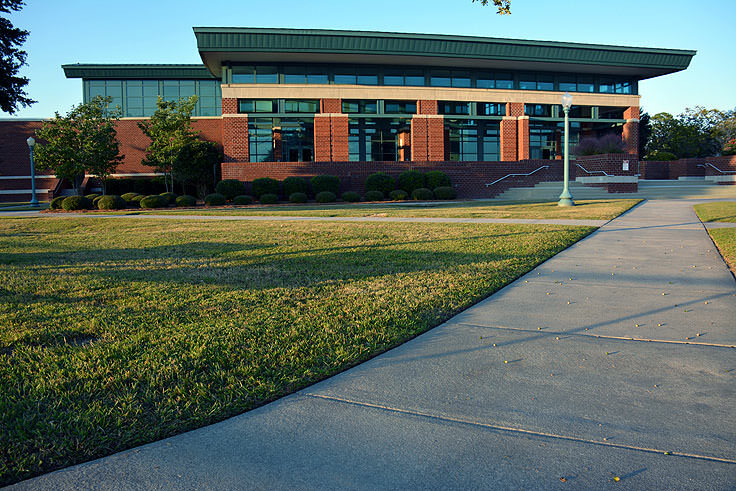 Large groups, including corporate organizations and conferences, will find plenty of room in the exceptionally accommodating and scenic New Bern-Craven County Convention Center and Visitors Bureau. The sprawling riverfront complex, located in the heart of the charming downtown on Front Street, boasts expansive facilities that can easily accommodate even the largest group gatherings and events. 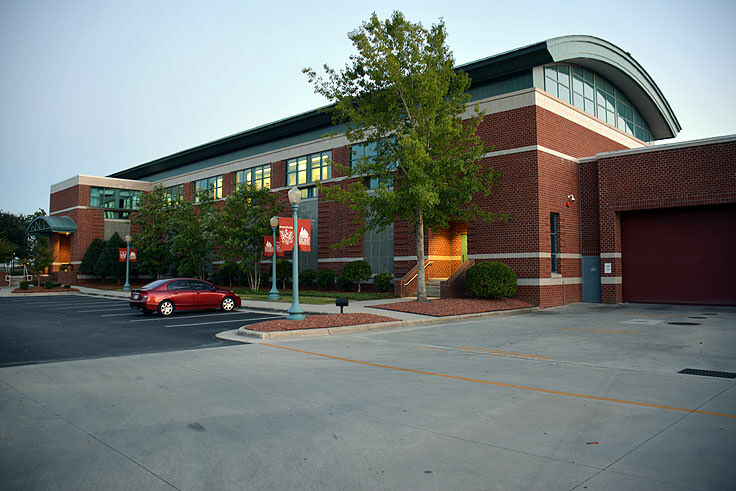 The brick building with walls of windows overlooking the waterfront and the downtown area encompasses 45,000' square feet of meeting space and offices, and as such, can cater to conventions, meeting and events of 1,350 people. Banquet service is available for up to 1,000 people, and the 12,000' square foot ballroom can easily serve as a venue for both large-scale meetings and evening galas or special events. 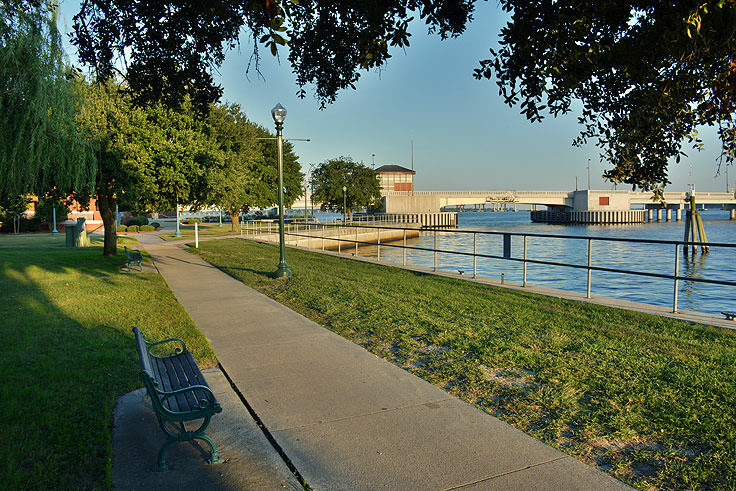 In addition, there are a number of conveniences nearby for out-of-town event guests, including over 400 hotel and motel rooms within walking distance, a number of restaurants, and many of New Bern's most famous historical attractions and scenic waterfront parks. A dedicated staff can help group leaders stage the event, from multiple days of catering and meals to specialized meeting spaces and electronics set-up. As a result, attendees are sure to enjoy an event venue that's both scenic and accessible, with all the room, amenities, and modern facilities to ensure that any attendee has a fantastic time. Special packages are also available that include discounts on area hotels and complimentary break drinks and snacks at the convention center. For more information on facilities and dates available, conference or group leaders can contact the New Bern Convention Center directly at 252-637-1551 or via email at mharris@cravencountync.gov. 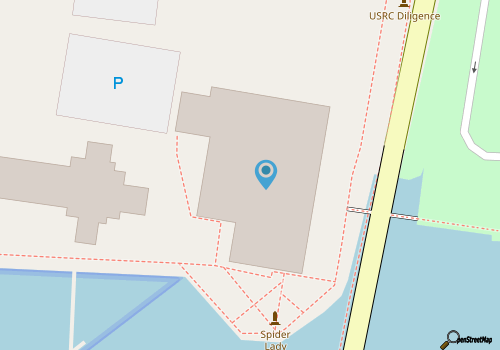 In addition to the elite facilities for the masses, individuals who are new to the area will also want to make a stop by the visitors' center portion of the complex to pick up area information, talk with helpful local area experts, and map out their New Bern vacation. The visitors' center is open to all vacationers, Monday through Friday from 8:00 a.m. until 5:00 p.m., and Saturdays from 10:00 a.m. until 4:00 p.m. Filled with pamphlets, literature, area maps, and even local souvenirs, the visitors' center is a good starting point for folks who want to make sure they hit all of the Inner Banks' best attractions. 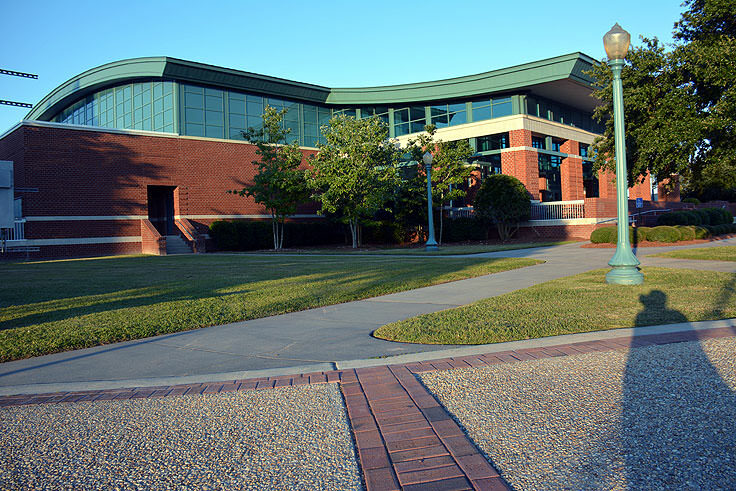 The relatively new and exceptionally modern New Bern-Craven County Convention Center and Visitors Center has been instrumental in putting this small but charming coastal town on the map. 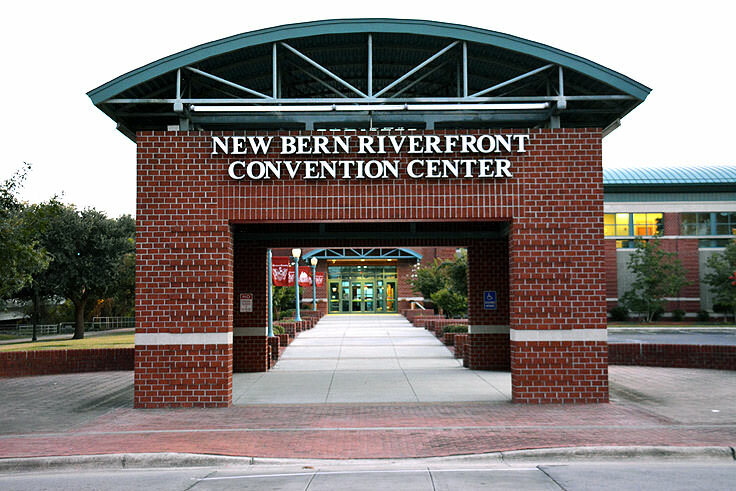 With an unbeatable location on the waterfront, located adjacent to some of New Bern's best loved riverfront hotels, restaurants, galleries and attractions, many folks find that after a convention, gala or event at the convention center, they can't wait to return to the Inner Banks for more.